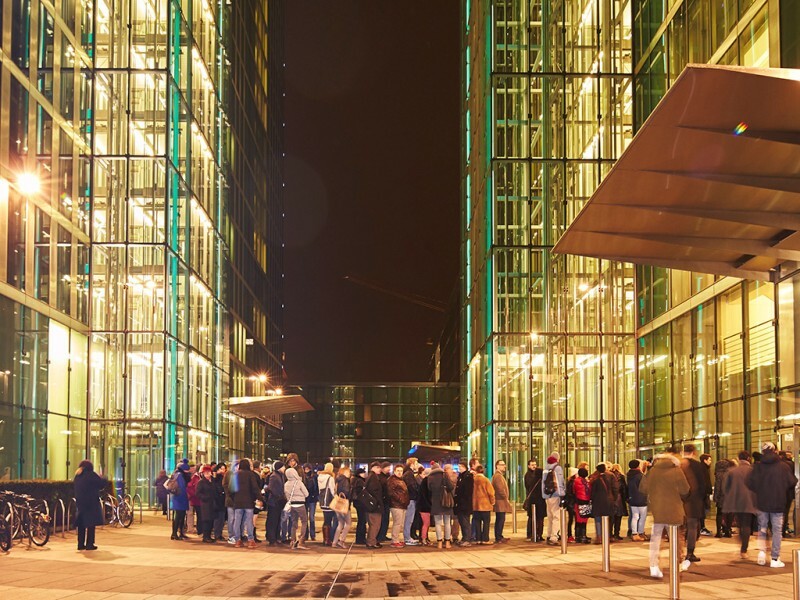 It is a special highlight within the supporting programme of the world's leading trade fair BAU: For the fourth time The Long Night of Architecture takes visitors to Munich’s most attractive and interesting buildings. On Friday, 20th of January, 2017, exhibitors, trade fair visitors and all those interested in architecture get the opportunity to have a look behind the scenes. This time, more than 70 buildings are on the programme - a record. The newly designed website (www.lange-nacht-der-architektur.de/en) now offers the opportunity to plan individual tours. The Long Night of Architecture (LNDA) takes place in the context of BAU, the World's Leading Trade Fair for Architecture, Materials and Systems. It is organised and hosted by Messe München. The event serves as a bridge, and takes the theme of architecture from the BAU trade fair to the city of Munich, to the interested public. Right from the beginning this idea turned out to be an instant success. In 2015, 30,000 architecture enthusiasts went on the guided night tours. For the next LNDA we expect a similarly great response. Amongst the 70 buildings – in 2015 we had 50 – are a number of new additions, as well as popular “classics”. For the fourth event the organisers of the LNDA focus on the use of social media, the new interactive Website and the new WhatsApp-Channel. Shuttles buses cover altogether eleven routes, and are, as always, free of charge. On the bus, architecture students inform visitors about the buildings. Several guided and unguided walking tours through Munich’s inner city are also on offer. All bus tours start centrally at the Odeonsplatz. The new website supports all those who want to plan their tour online. The site features responsive web design and can be used on all mobile devices. Interactive maps help to customise city tours. Selected tours can be shared via social media, sent by email, and saved offline as PDF format. There are 20 new buildings this time – as many can thus be visited for the first time. These include, for example, the BMW Truck-Logistics Administration Centre, the Isartalwerkstätten, the joinery business Würzburger, the digestion tower in the treatment plant Gut Großlappen, as well as the Protestant Luther Church St. Lukas at Mariannenplatz. Brainlab AG has opened new headquarters on the area of the former Riem airport, located just a stone’s throw away from the fairgrounds. The heritage-protected airport tower, surrounded by a new glass building is an eye-catcher. Brainlab offers guided tours, always on the hour. On 20th of January “upside east” offers, once again, a view over Munich by night. 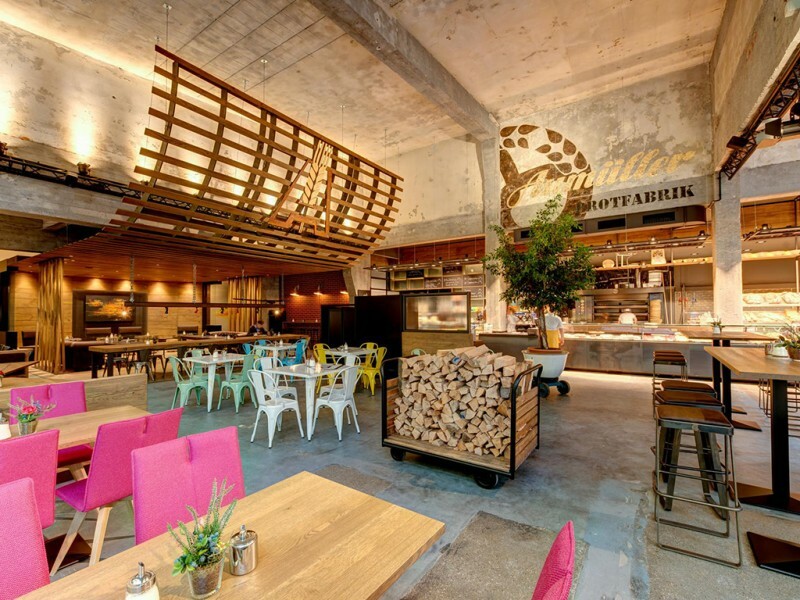 The bread factory of the Aumüller bakery is located in a vintage industrial building at the Kistlerhof Straße, it impresses less with its height than with its original charm. The large number of other buildings has something on offer for every taste: be it pro aurum Goldhaus or the stadium at the Grünwalder Straße. Information about LNDA can be found on social media. Already before the event, various buildings are going to be presented on Instagram. On Facebook you can follow the current news feed around LNDA. During the event, the new WhatsApp Channel presents exclusive information, such as on waiting times in front of the buildings, traffic conditions, and much more. Baking in industrial atmosphere: For the first time at LNDA—the bakery Aumüller in the Kistlerhof street. 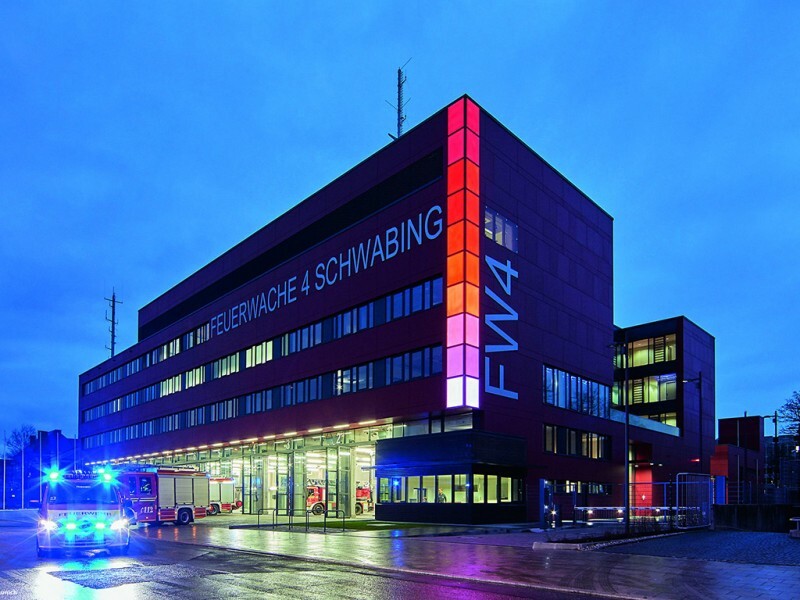 Intelligent façade: The ten LED-illuminating surfaces on the external facade of Feuerwache 4 change the colour depending on the number of calls and radio messages. Free access: At LNDA you can visit buildings, that are usually not opened for the public.